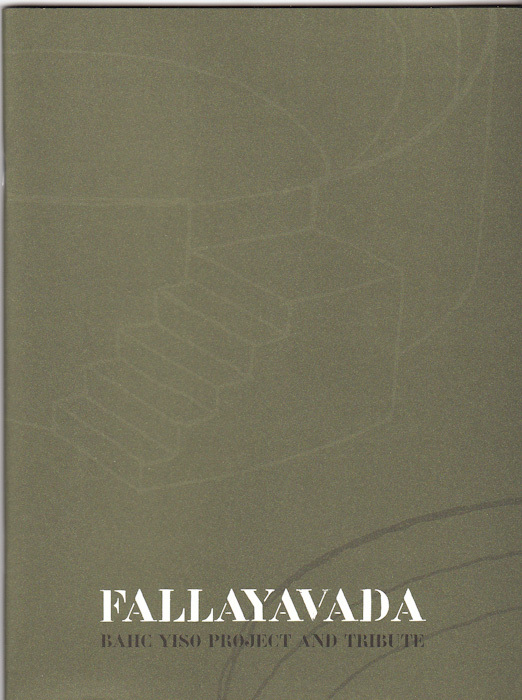 Fallayavada is a multi-media work that never reached its full completion due to Bahc's untimely death. Curated by Lee Young Chul, Jung Hunyee, and Yong Soon Min, the incomplete plans of Bahc Yiso's work are brought into realization by closely following the artist's drafts to create a falling device with a video camera as well as a viewing arena in which to view the contents of the camera. Fallayavada holds closely to Yiso's other works with its use of inexpensive, everyday materials, which the artist used to critique Korea's anxious desire for modernization, as well as the nature of human communication and the frustration produced in the process of translating. The exhibit presents the endless repetition of birth, maturity, pain, and death through a vertical journey.